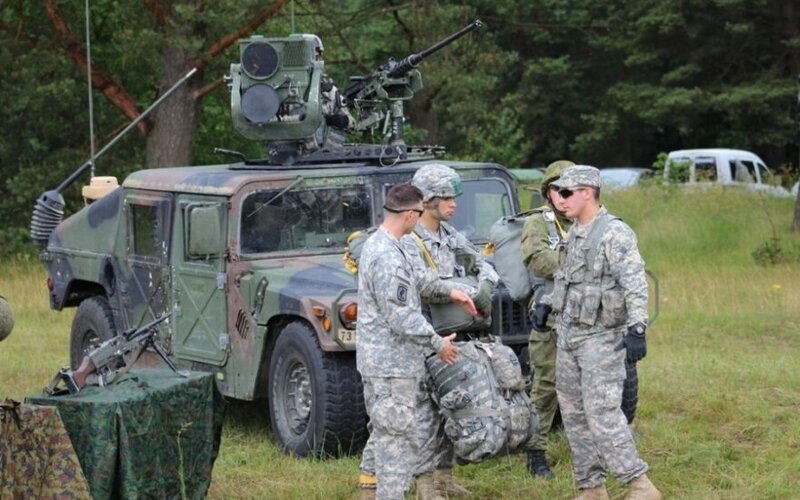 A civilian was injured during a military exercise in Gaižiūnai training grounds in Lithuania's central Jonava district in late hours of Thursday. The man, 45, was injured during a tactical firing exercise after accidentally entering the shooting zone, the Ministry of National Defence said. According to the press release, the injured man was taken to a local hospital and underwent a surgery. Doctors list his current conditions as stable and not life-threatening. The Police Department said the accident occurred at about 11:45 PM. The man incurred gunshot wounds to his arm, chest and leg. The incident took place during a firing exercise of troops of the US Land Force Europe Air Assault Brigade No. 173 deployed in the Lithuanian Grand Duke Vaidotas Mechanized Infantry Battalion. The firing was halted immediately after the troops heard the man screaming. The US troops provided him with first aid and called Jonava doctors. In the shooting grounds, the dangerous territory is marked with special warning signs, with information about planned shooting provided on special information stands on all roads leading to the training grounds. The firing exercise at the Gaižiūnai training grounds had been held from 8 PM on Thursday. The Lithuanian Army's Military Police and the Kaunas County Central Police Commissariat have launched an investigation into the incident.